You feel it in the air; you see it in the lengthening days; you smell it with the changing tides. That’s right, herring season (and Spring!) is right around the corner. And with the arrival of the herring comes the Sitka Tribe of Alaska‘s second annual Sitka Herring Festival, a month of fantastic event for adults and kids alike. First, for the adults. This year, we’ve been able to bring an excellent speaker from Stonybrook University in New York thanks to a generous donation from Sealaska. 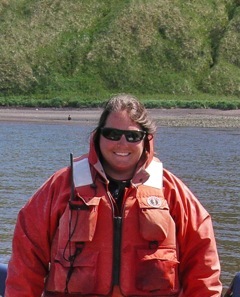 At the community potluck from 6-9 p.m. on Tuesday, April 7, at Harrigan Centennial Hall, Dr. Ellen Pikitch will present on herring management and conservation throughout the world. Dr. Pikitch was one of the leading scientists on the Lenfest Forage Fish Task Force, is a pioneer in ocean conservation, and is a leader in ecosystem-based management of fisheries. This event will be a potluck style, so please bring a dish to share. We’re very excited to have her here during the herring season. In addition to the community potluck, there will be a talk at the University of Alaska Southeast Sitka Campus from Dr. Shingo Hamada. Dr. Hamada is an anthropologist at the Research Institute for Humanity and Nature in Kyoto, Japan. His talk will be on Herring Fisheries and Food Culture in Japan. Mark your calendars for 7:30 p.m. on Monday, March 23, in UAS Sitka Campus Room 218. This is a partnership from the Natural History Seminar Series with UAS and the Sitka Sound Science Center. All are welcome, but be sure to bring your questions. But what would a festival be without fun activities for the kids? This year’s festival will also include Yaa Khusgé Yaaw Woogoo — The Knowledge of Herring Camp, hosted by the Sitka School District and the Outdoor Foundation, in partnership with Sitka Tribe of Alaska and Sitka National Historical Park. This is a free, hands-on spring break camp connecting kids to culture that will take place from March 16-20 at Sitka National Historical Park. Middle school youth (grades 6-8) are welcome and encouraged to participate in this free camp. 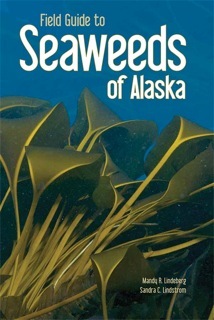 More information can be found at Sitka National Historical Park. Feel free to or pick up an application at the main office of STA or at the Sitka National Historical Park Visitor Center. For those who like a little competition, there’s the Herring Derby and the Herring Run. 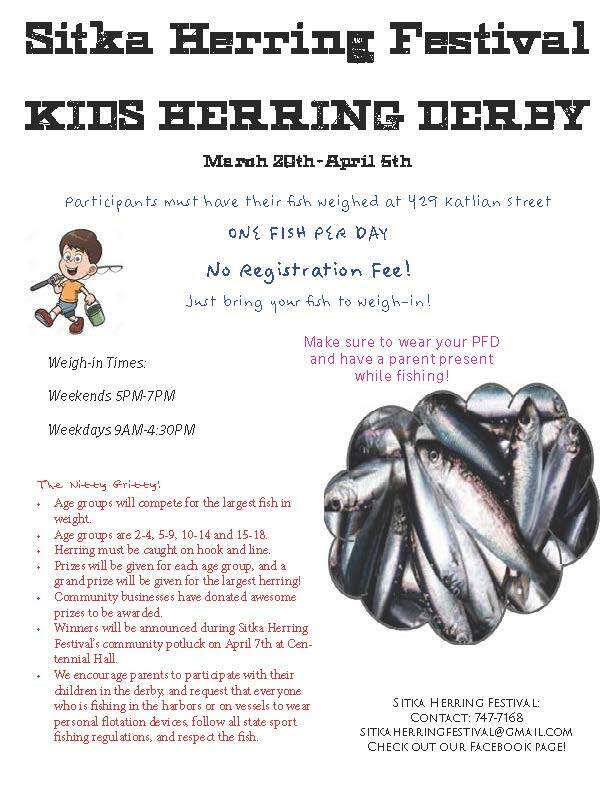 Like last year, the Herring Derby will be a fun event for kids and parents. The Derby starts on Friday, March 20, and continues through Monday, April 6. Weigh your biggest fish every day (from 9 a.m. to 4:30 p.m. on Monday through Friday and from 5-7 p.m. on Saturday and Sunday) at the Sitka Tribe of Alaska Resources Production Office at 429 Katlian Street. May the best (biggest) fish win. 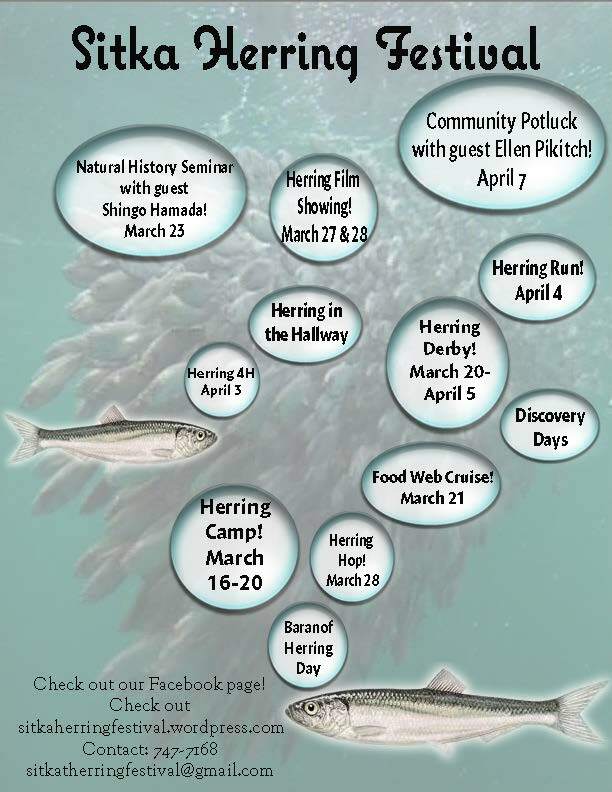 Also like last year, Sitka Community Schools will host the Herring Run. The run will start at 11 a.m. on Saturday, April 4, at Harrigan Centennial Hall and will wind through the Totem Park trails before returning to Centennial Hall. Herring swim in schools, so bring your friends. There will be more fun and educational events during the Festival, including a 4-H class through Sitka Conservation Society, Herring in the Hallway at Keet Gooshi Heen Elementary School, Discovery Days at the Sitka Sound Science Center, and the showing of a herring film showing at 7 p.m. on Friday, March 27, and at 2 p.m. on Saturday, March 28, at the Sitka National Historical Park For the dancers among us, there will also be a Herring Hop from 6-11 p.m. on Saturday, March 28, at the Alaska Native Brotherhood Fellowship Hall. The Herring Hop is a fundraiser for the Cape Decision Lighthouse Society. The Herring Festival will also feature a Food Web Cruise on Saturday, March 21, as a fundraiser for another fantastic festival, the Sitka Whalefest. More info for all these events can be found online at http://sitkaherringfestival.wordpress.com or at our Facebook page. Or you can email sitkaherringfestival@gmail.com or call 747-7168.